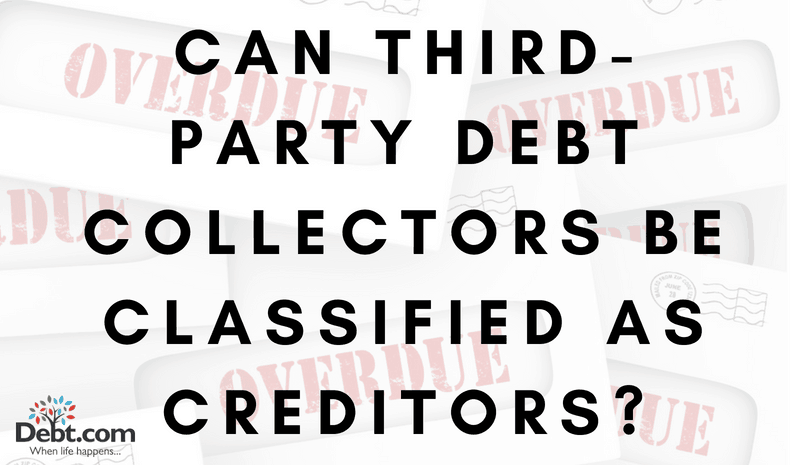 Debt.com » Debt Collection » Can Third-Party Debt Collectors be Classified as Creditors? Just because your debt is sold to a third-party, it doesn’t necessarily mean that it went to a debt collector. It can be tricky figuring out who you owe money to when banks have the habit of selling and reselling debts to other creditors. But there is a difference between creditors and third-party debt collectors. What is a Third-Party Debt Collector? Third-party collectors are defined by the Federal Trade Commission, or FTC, as someone who collects debts owed to others. The original company you owe the debt to is called a creditor. It’s important to understand this difference as there are specific laws offering consumer protections when it comes to collecting debts. Because of unfair practices by debt collectors in the past, Congress passed the Fair Debt Collection Practices Act, or FDCPA, in 1978, that places restrictions on what a third-party collector can do in order to get a debt paid. Creditors are individuals or companies with whom you originally have the debt. 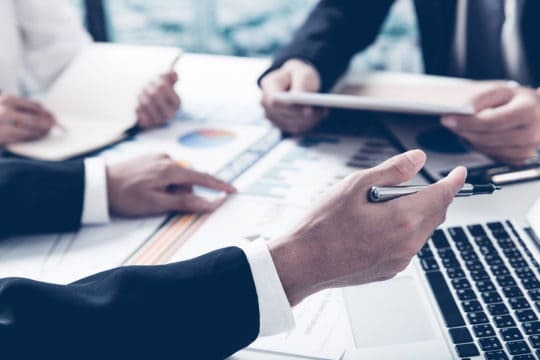 However, if you are making payments on the debt and are not in collections, that debt can be sold to another company, and that new company would still be considered a creditor. Only when you fall behind on payments owed and your debt goes into collections does it then get sold to debt collectors. At no time is a third-party debt collector classified as a creditor. Debt collection agencies must follow many rules before contacting a debtor thanks to the FDCPA. Many of the laws apply to phone calls that debtors can receive. Contact you at work if you told them not to contact you there. Use profane, threatening or abusive language. Call at other times that are inconvenient to you. Lie or deceive you about who they are, what the debt is for or how much it is. A statement affirming the validity of the debt unless the consumer disputes the debt within 30 days after the notice was received. Verification of the debt if requested by the consumer within the 30 days. The name and address of the original creditor if the consumer sent a written request within the 30-day period. A third-party debt collector must follow these rules or face heavy fines. When in contact with a debt collector, there are certain things third-party agencies can’t ask you to do, specifically regarding money. Pay more than you owe. Pay interest or fees that weren’t in the original agreement. There are also third-party rules for debt collectors, including: not being able to tell a third party about your debt (not including your parents if you are a minor, your spouse, your attorney, a credit reporting agency, the creditor or the creditor’s attorney) and calling a third party to get your whereabouts. It is important to understand your rights when it comes to debt collection practices. One thing to keep in mind is the statute of limitations on your debts. Depending on which state you live in, you should verify the “life” of your debt, or how long a company can collect on it. For most states, the average is around six years, but the statute of limitations can be as long as 15 years in Kentucky, Ohio and Rhode Island. Using this information can help you figure out if you should repay the debt or if you should contact the Consumer Financial Protection Bureau, or the CFPB. 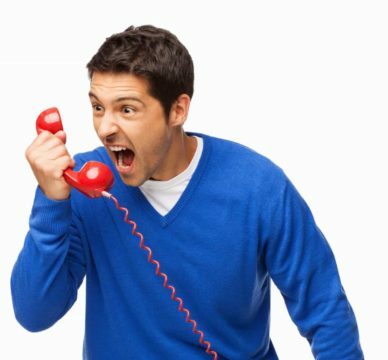 If you got a call from someone regarding an expired debt, they can be fined. Whenever you are in debt, make sure to keep all correspondence from debt collectors and take notes of who and when you speak with someone regarding your debt. Article last modified on January 25, 2019. Published by Debt.com, LLC . Mobile users may also access the AMP Version: Can Third-Party Debt Collectors be Classified as Creditors? - AMP.